Frequently Asked Questions FAQ - ONEflight International, Inc. Frequently Asked Questions FAQ - ONEflight International, Inc.
What is the Benefit of Flying with ONEflight? Flying on a private jet not only offers unparalleled luxury, it also allows passengers to access smaller and/or remote locations, take advantage of privacy unavailable during commercial travel, avoid long security lines, schedule their travel according to their schedules and preferences, and more. At ONEflight, we ensure you experience white glove service at all stages of your travel. Our Concierge team works closely with you to arrange your complimentary round-trip Executive Car service and in-flight catering. Each flight is tracked by our Flight Operations team to ensure that all aspects of your travel are occurring on schedule. Our commitment to safety means that you can feel secure during all aspects of your travel. Is Private Jet Travel Right for Me? Private Jet charter is for anyone needing to travel on their own schedule, has a time-sensitive task, requires security, wants to be on the ground much closer to their destination, needs confidentiality, or simples wants a stress-free and luxury experience only available via private jets. What is the Difference between Private Aircraft Flights and Scheduled Airline Service? There are two major differences between private charter and scheduled airline service: convenience and flexibility. While booking a private jet with ONEflight is usually more expensive, we provide a much higher degree of flexibility and convenience. With a charter from ONEflight, your aircraft will fly on your schedule to the domestic or international destination of your choice (nearly 8,000 airports). Our service to both major and general aviation airports gives you access to more than fifteen times as many domestic destinations as scheduled airline services. What Level of Support can I Expect Prior to and During my Trip? Your dedicated ONEflight Flight Coordinator will assist you in planning every aspect of your trip. Our Concierge department will contact you shortly after booking to discuss your catering and transportation needs. Our Flight Operations team will follow your aircraft and provide additional assistance as needed before, during, and after your flight. Our Customer Services and Flight Operations teams can be reached 24/7 to answer any questions you may have and to ensure you have as smooth of a trip as possible. Booking your private jet travel with ONEflight is easily accomplished by either calling us at 888-990-5387 or booking online at bajit.net. Do I have to be a Member to Book with ONEflight? No! While a ONEflight membership is very beneficial, you do not have to be a member in order to book a charter with us. To book your next trip, please click here or call us at 888-990-5387. Am I Booking the Entire Cabin or Just a Single Seat? No. Unlike commercial flying, when you book a private charter the entire aircraft is at your disposal. Privacy and the ability to select your fellow travelers are among the most sought-after benefits when you charter a private jet. Will there be Other Passengers On Board besides My Party? Since you are chartering the aircraft rather than simply purchasing a seat on a private aircraft, you control the passenger list! You won’t be surprised with any additional passengers. Ever. What is the Lead Time for Reservations and Cancellations for Both Peak and Regular Days? The call out time is only 10 hours for a guaranteed flight. Cancellation is 48 business hours. What is the Minimum Age when Sending Unaccompanied Minors? Age is subject to the discretion of the parents of the minor. May I Make Changes to My Itinerary or Add Passengers After I Book? Please contact our Flight Operations department as soon as you are aware of any necessary changes to your passenger list and/or itinerary and we will do our best to accommodate your needs. May I Specify the Aircraft I want to Charter or am I Simply Picking a General Aircraft Type? Thanks to the BAJ technology, our passengers are able to search and book the exact aircraft they would like to charter for their travel. Book your trip now! No, ONEflight will book your travel 365 days a year without an additional surcharge. Flights booked with less than 10-Hours of advanced notice are not guaranteed and may be subject to additional surcharges. While we recommend booking your travel as soon as your needs become evident, we are able to guarantee an aircraft within 10 hours of booking. Please contact us to discuss your upcoming travel needs. Absolutely! While most of our clients prefer to fly into smaller FBO’s (Fixed-Base Operator) to avoid crowds, ONEflight can bring you to whichever airport best suits your travel needs. Where Can I Fly on a Private Jet? You can fly anywhere in the world! You can even visit remote destinations only reachable by private jets or to a smaller airport much closer to your actual destination than if you were flying into a commercial aviation airport. Are There Additional Costs Per Passenger? Since you are chartering the entire jet, the number of passengers flying will not affect the price beyond ensuring that you have a large enough aircraft to accommodate your party. None. You can travel every day of the year at no additional charge. What is ONEflight's Program Service Area? 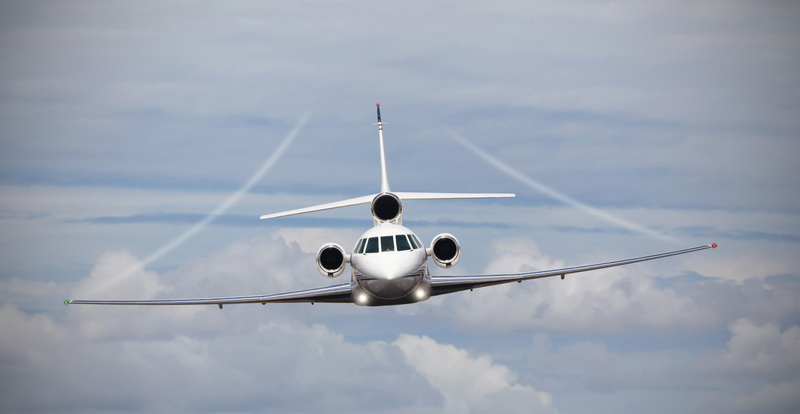 ONEflight provides worldwide service and can accommodate all of your luxury private jet services needs. Please contact us today to discuss your upcoming travel needs! What are the Policies and Surcharges for Transporting Pets? You must let us know at the time of booking. There may be a small fee for pets. How is the Program Structured - hours, dollars, or mileage? ONEflight’s Member programs are based on Hours. Learn more about our Membership Program and the current pricing. Which Aircraft are Applicable to Which Programs? ONEflight Members have access to all size of aircraft including Turbo Props, Light Jets, Mid-Size Jets, Super-Mid Jets, and Heavy Jets. How much Liability and Risk Coverage is Provided? Most Charter companies maintain $200,000 MIL policies. Additionally, ONEflight maintains a $100,000 MIL policy. What is the Program Service Area? What are ONEflight's Customer Service Hours of Operation? The ONEflight team is available to you 24 hours a day and 365 days a year. Hours purchased through ONEflight do not ever expire. Can You Refill Your Card at Current Rates or Do You Need to Buy a New Card? Members may reload hours into their accounts at any time at the current rates. Are there Initiation and Membership Fees? There is a one-time lifetime Initiation fee of $15,000. Additionally, Membership Dues are required for each block of hours and the amount varies depending on the number of hours purchased. Learn more about our membership program here. Do Membership and Initiation Fees Apply towards Flight Hours? No. However, the hourly rates are deeply discounted for Members to cover the cost of Membership Dues. No, there are no Blackout dates with ONEflight International Memberships. What’s the Lead Time for Reservations and Cancellations for both Peak and Regular Days? Can You Access Multiple Aircraft at the Same Time? Yes, our members are not limited to a single aircraft. Can You Upgrade or Downgrade the Size of Aircraft? Are there Interchange Fees? ONEflight’s program is very flexible. You can select any size aircraft without interchange fees. A full meal for each passenger is included in the cost of the flight. What Ground Transportation is Included? Round Trip Executive Car Service is provided for the primary point of contact. What is the Service Recovery Policy for Non-Weather-related Delays? A recovery aircraft is guaranteed at no additional cost to the Member. What Happens to Your Money before You Fly? Is there an Escrow Account? Flight deposits are held in Member’s cash accounts until they are applied to the flight prior to departure and a statement is provided every month with current balances. Is there a CPI (Consumer Price Index) Escalator? How Much is It? How Often is it Applied? Yes. The Dues escalate based on CPI on an annual basis. Do Hourly Rates Include the 7.5% Federal Excise Tax (FET)? Rates do not include FET. Are Hourly Rates Guaranteed or are Flights Priced Based on Market Charter Rates? Hourly rates are guaranteed for 12 months with no additional costs. Are there Round Trip Discounts? If so, what are they? ONEflight does not offer Round Trip Discounts as our hourly rates are already heavily discounted. Are there Destinations in your Service Area Subject to Surcharges? No, there are no destinations in our Service Area which would be subject to additional surcharges. What is the Peak Day Surcharge? There is no surcharge for peak day travel. Are there One-Way Surcharges or Ferry Fees? No, ONEflight does not charge a One-Way Surcharge or any Ferry Fees. What’s the Minimum Flying Time Billed per Day and per Segment? 1.0 total billed time per segment and there are no daily minimums. How much Taxi Time is Billed Per Segment? There are 12 minutes of Taxi Time billed per segment. There is no additional charge for diversions. No, ONEflight does not charge fuel surcharges. Is De-Icing Included or is it an Extra Charge? De-Icing is not included in the cost of the charter and is only an additional cost when inclement weather requires it for safety purposes. Can You Get a Refund of Unused Hours? The membership costs are not refundable. However, deposits for flight costs are fully refundable. Is there a Charge to Select a Non-Preferred FBO? No, there is no charge to select your FBO of choice. Is a Flight Attendant Included on large-cabin jets? Yes, at no additional cost to the member. What are ONEflight's Safety Standards? Safety is our number one priority at ONEflight. ONEflight follows all safety regulations and conducts a screening test of the aircraft, including pilots, by screening against the ARG/US CHEQ System to validate a Green Light “Go” prior to every flight. To learn more about our strict safety guidelines, please visit our Safety page. What is the Seating Capacity of the Aircraft in the Program? This varies depending on the size of each aircraft. Generally, Light Jet seat 6-8, Mid Size Jets seat 8, Super Mid Jets seat 8-9, Heavy Jets seat 10-17. How are the Aircraft Sourced? Aircraft are sourced from 500 top-rated charter companies with over 4,000 jets in the US market or 12,000 globally based on best positioning. What are the Standards for Sourcing Aircraft, Including Ratings from Third-Party Safety Programs such as ARGUS, Wyvern Wingman, and IS-BAO? ONEflight requires all charter companies and aircraft be certified by ARGUS, Wyvern, Wigman, or IS-BOA. Although the charter company is qualified by certification ONEflight will verify every flight is prior to each departure. Is there a Fully Enclosed Lavatory on Light Jet Programs? Yes, there is a lavatory on most Light Jets available for charter with ONEflight. What is the Minimum Pilot Experience, Including Total Hours and Hours in Aircraft Type You Will Be Flying? Every captain must have 4,000 hours total time with 250 hours in the aircraft. Every First Officer must have an Airline Transport Pilot (ATP) rating and 100 hours in the aircraft, or 4,000 hours total time. WiFi is subject to availability depending on the aircraft selected at the time of booking. Is In-Flight Phone Service Guaranteed? In-flight phone is subject to availability depending on the aircraft selected at the time of booking. May I order Catering Adherent to my Food Allergies and Dietary Restrictions? Absolutely! Please advise your Concierge Coordinator of any food allergies and/or any dietary restrictions of anyone in your party. Is Alcohol Included on My Flight? No, alcohol is not included in the cost of your flight. Please speak with your Concierge Coordinator if you would like alcohol on your flight and they will be happy to arrange it for you at an additional expense. How Much Luggage May I Take With Me on my Flight? You will be told how much the hold can take on your chosen aircraft and may upgrade if you feel more space is needed. This will generally be far more than that of a commercial airline. You may also need to upgrade if carrying things such as golf clubs and skis. If you will be traveling with a gun, please advise your Flight Coordinator ASAP to ensure all necessary precautions are taken to avoid travel interruptions. You will also need to provide a license and the gun and ammunition must be kept separate. It is then at the captain’s discretion whether it will be allowed on board or must be kept in the hold. How Early Should I Arrive at the FBO Prior to My Scheduled Departure Time? Please be at the FBO and ready to board your aircraft 10-15 minutes prior to your scheduled departure. Who do I Need to Notify if I am Running Late for my Flight? Please let your Flight Coordinator know ASAP of any interruptions or delays to your scheduled travel. What is the Policy on Flying with Controlled Substances or Weapons? Please let your Flight Coordinator know ASAP and we will advise you of the safety protocol required for the item in question. Do I Need to Check In Once I've Arrived at the FBO for my Flight? Yes, when you arrive at the FBO for your flight, you will need to check in at the front counter. What Documents will I need to Bring with Me for My Travel? Due to FAA regulations, please have your government-issued identification card with you and if you are traveling internationally, you will also need your Passport and any applicable Visas. Will I need to Allow Extra Time for Security and/or Customs? When traveling domestically, you will not need to allow for extra time for security and/or customs. What Items are Allowed and Not Allowed Aboard a Private Aircraft? FAA regulations require all passengers to comply with the transportation of Hazardous Materials requirements. For a complete list or if you have any questions, please contact your ONEflight Flight Coordinator to discuss in depth. What Happens if there is Inclement Weather on my Day of Travel? In the event of cancellations and/or delays, you will be contacted immediately by your Flight Coordinator to advise you of any flight interruptions and to keep you updated on the status of your flight. Do I need to Bring Car Seats for Infants or Children under the Age of Two in my Party? Regulations permit that your baby can travel on your lap until the age of two years old, when they will be required to have his or her own seat. ONEflight recommends that customers traveling with babies take their car seat on board the private jet. These can be strapped into a rear-facing chair, following the same safety guidelines as for when you are traveling with your child in an automotive vehicle. How Far into a Pregnancy Can a Woman Fly? Pregnant women should take medical advice before planning to fly, and the health and wellbeing of the mother and baby are ONEflight’s biggest priority. Most scheduled airlines do not allow travel after 36 weeks of pregnancy and require a medical certificate after 28 weeks of pregnancy. Private jet operators generally follow the same guidelines, but there can be some flexibility to fly later if a doctor’s letter supports this. ONEflight is a privately-held Colorado Corporation. What are the Standards for Sourcing Aircraft, Including Ratings from Third-Party Safety Programs such as ARGUS, Wyvern, Wingman, and IS-BAO? ONEflight requires all charter companies and aircraft be certified by ARGUS, Wyvern or IS-BOA. Although the charter company is qualified by certification ONEflight will verify every flight is prior to each departure.